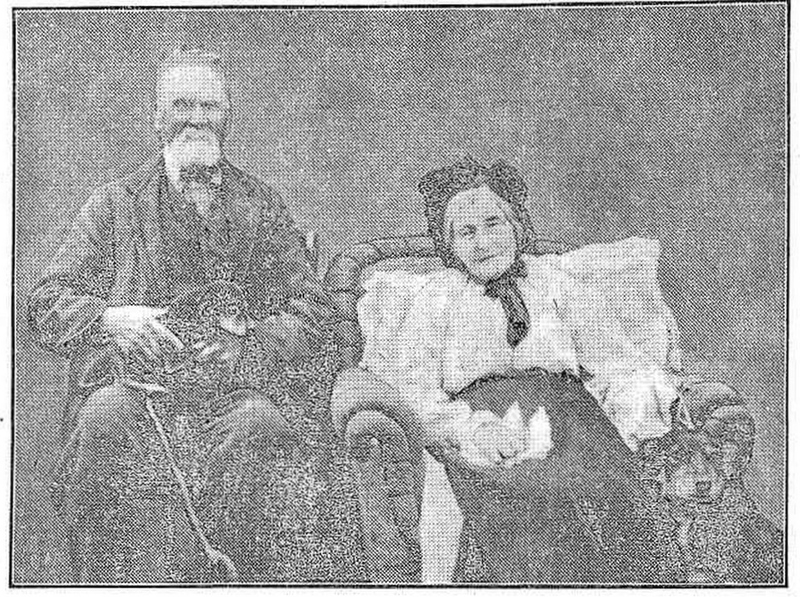 While researching Hamilton soldier Samuel Winifred Trigger recently, I stumbled across this wonderful photo at Trove of Samuel and Eliza Trigger, grandparents of Private Trigger, published in the Weekly Times on 14 April 1917. At Winifred’s side is a dog and Samuel is holding a pup. “A VENERABLE COUPLE.” Weekly Times (Vic. : 1914 – 1918) 14 Apr 1917: 10. Web. 15 Aug 2015 <http://nla.gov.au/nla.news-article121151983&gt;. Further searching at Trove uncovered the obituaries of Eliza and Samuel, published in the Port Fairy Gazette on 18 March 1918 and 15 April 1918 respectively, and with the help of various records, I was able to find out a little more about Eliza and Samuel. Eliza was the daughter of Charles Whittaker and Catherine Totterdale and was born in Naae, Ireland around 1823. After the death of Charles Whittaker, a Battle of Waterloo veteran, Eliza’s family moved to Somersetshire, England. That is where she met Samuel Trigger, formerly of Devonshire. They married in 1847 at Bridgeport, Somersetshire and their first child Emily was born around 1848 in Somersetshire. They then moved to Avening, Gloucestershire and another daughter, Christina was born in 1850. Samuel was working as a miller and the family lived in Ball Street, Avening. Another child, a son Henry, was born before they departed Plymouth in 1852 for Australia aboard the Eliza. The family arrived at Portland on 9 April 1853. Firstly, Samuel and Eliza settled at Mt Taurus north of Warrnambool, and Samuel worked as a sawyer. They eventually moved to the Macarthur/Warabkook area where they remained for the duration of their lives. Eliza passed away on 6 March 1918 and Samuel, only three weeks later, on 1 April. They were buried at Macarthur Cemetery. Samuel and Eliza left four sons, two daughters, thirty-one grandchildren and thirty-eight great-grandchildren. The last piece of significant news they most likely received was that of the death of their grandson Samuel Winifred Trigger, one of four grandsons to enlist. Samuel was killed at Mouquet Farm on 16 August 1916 but was reported missing. The family received official notification of his death almost a year later, on 11 July 1917. 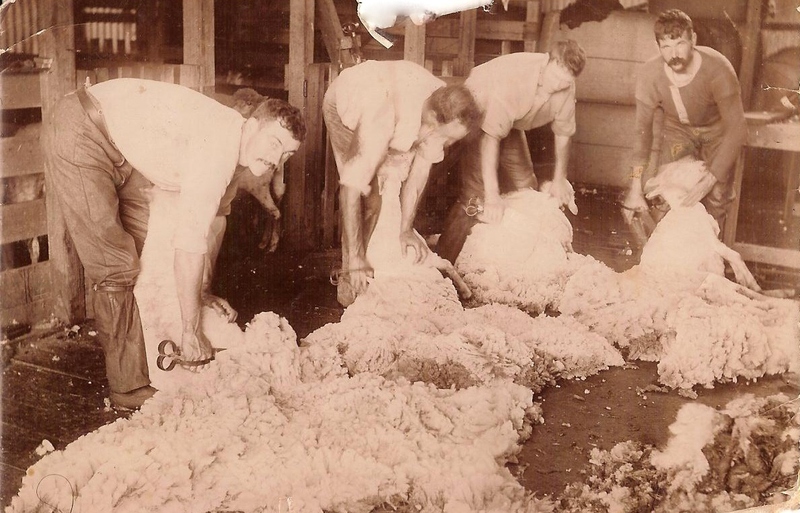 This entry was posted in Trove Tuesday, Western District History and tagged Macarthur, Trigger, Whittaker. Bookmark the permalink. Yes, I’m trying to keep posting them when I can and I’ve been posting old TT posts to the Facebook page too.